Magic for Beginners is Kelly Link’s eagerly anticipated and critically acclaimed follow-up to her beloved debut, Stranger Things Happen. Cumulatively weirder and wiser” (The Believer), this new story collection riffs on zombies, marriage, witches, superheroes, haunted convenience stores, and weekly apocalyptic poker parties, among other things. Link’s work is truly unique. Time Out New York called her stories cross-genre gems,” and her admirers in the literary communityfrom Peter Straub and Karen Joy Fowler to Alice Sebold and Michael Chabonreflect the amazing range that makes her style so special. 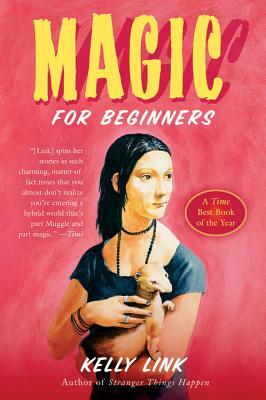 Call it kitchen sink magical realism: Fantastic and bizarre but funny and down to earth, there is something for everyone in Magic for Beginners.